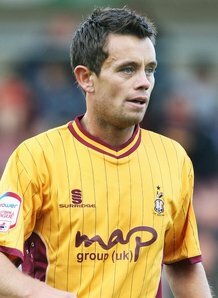 The Harriers today scooped the signature of the former Aston Villa star Lee Hendrie. The creative midfielder, nicknamed 'Munchkin' by fans of Villa and other teams, signed on non-contract basis earlier today after spending the last few weeks training with the club. Born in Solihull, the son of the Birmingham City player Paul Hendrie, he joined Villa as a schoolboy in May 1984 at the age of nine and progressed into the first team in 1995. From there it took two more years before he made his first team debut against QPR in December 1995 and he went on to play in 251 games for them scoring 27 times in all. Lee also made the England squads during his Villa years with 21 appearances for the U21's and one full cap against the Czech Republic as a substitute in a 2–0 win. He left Villa Park in 2007 and joined Sheffield Utd but had already been out on loan at Stoke City for a prolonged period. He then started a nomadic career around other League clubs; Leicester City, Blackpool, Derby County, Brighton & Hove Albion and Bradford City before travelling to Indonesia to join some club called Bandung after turning down a deal with Conference side Mansfield Town. At the start of this season he returned back to the UK and joined his brother Stuart at Daventry Town. Before he joined Daventry he also had numerous trials at other non league clubs such as Wrexham but that failed when Dean Saunders took over as manager at Doncaster Rovers. He then joined the Harriers recent scene of our FA Cup exit when he joined up with Corby Town on a month's trial but after three weeks he walked out on them. In August Hendrie started to train with Hinckley Utd until October but played in only one game, a friendly. Later that month he signed for Daventry Town, originally signing until the end of the season but has now arrived at Aggborough instead. His signing could be a good thing or a bad thing for us bearing in mind his recent record but if he does stay for a prolonged period then it's hoped that he could be the creative midfield general we've been looking for ever since Mike Marsh, Ian Bogie and Jeff McKenna, but not Barry Horne. He now has just under two weeks before he can be seen in action. Let's hope it's worth seeing.